From Monday 9th April 2018 a new bus service will operate in Saddleworth connecting the villages of Denshaw, Delph, Dobcross, Diggle and Uppermill. During peak times the new service will connect with Greenfield Station and, during the day, Uppermill. A timetable will be published nearer to the time of the service launch and will take into account the new train timetables from May 2018. Transport for Greater Manchester (TfGM) will be continuing the Local Link service ensuring that people in villages who cannot access the new bus service will still have access to this existing service. 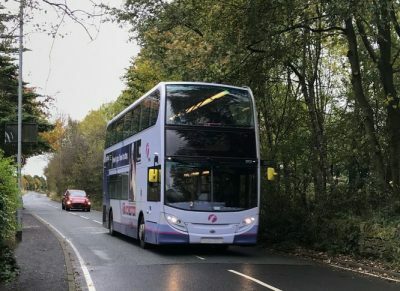 Diggle is currently facing a problem accessing the new service as there is, to-date, nowhere for a bus to turn safely without having to reverse. The old turning circle at Diggle is not an option as repairing the damaged road is deemed to be too costly. Ideas are being explored but so far a solution has not been identified.